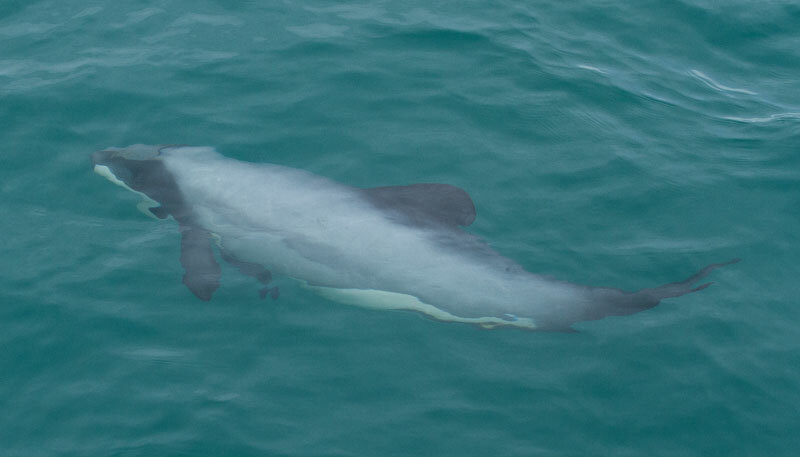 The Hector’s Dolphin (Cephalorhynchus hectori) is one of the smallest and rarest in the world. 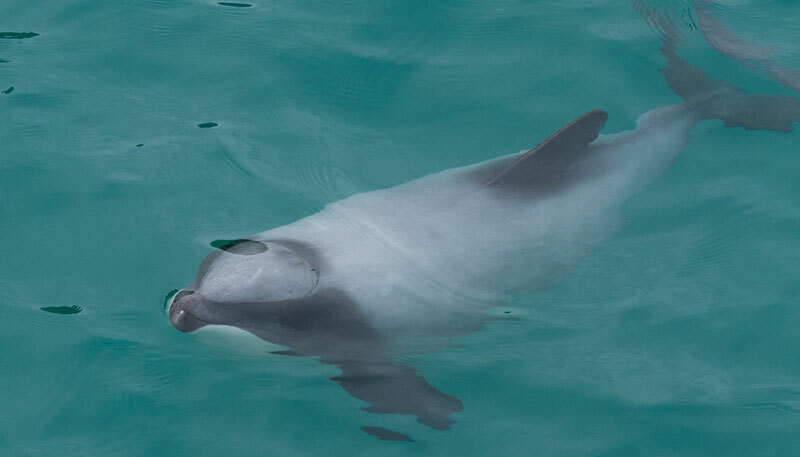 They are only found in New Zealand waters and it is believed that there are only about 7,000 left in the wild. Adults can reach up to 1.6m in length and 60kg in weight. Females are usually bigger than the males. 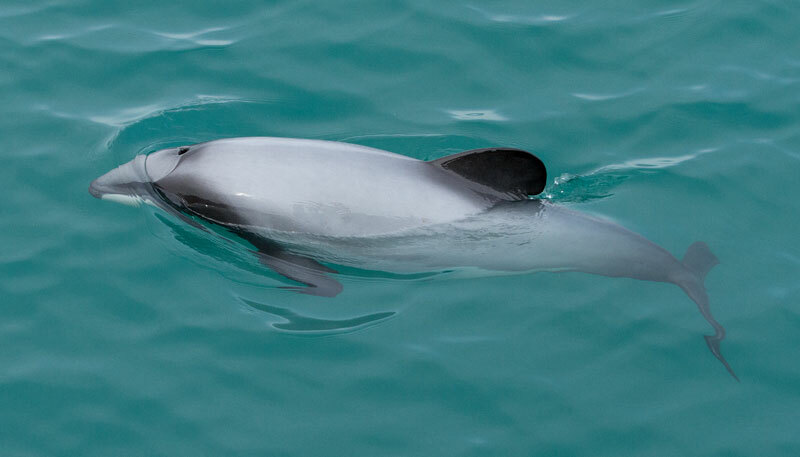 They are found in coastal waters around most of the South Island except the deeper waters of Fiordland where they are only rarely seen. They feed on fish and squid that the catch at the surface down to mid water depths. 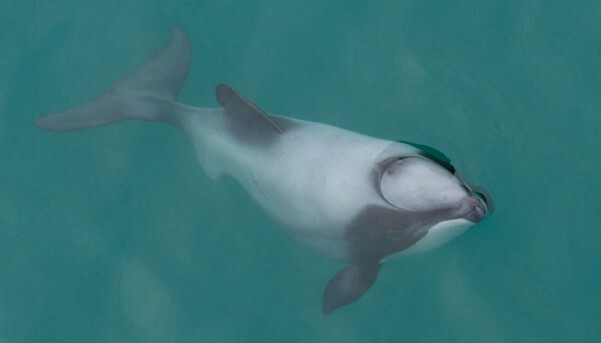 The Hector’s Dolphin is named after Sir James Hector (1834 – 1907) who was curator of the Colonial Museum (now the Museum of New Zealand) in Wellington when he examined the first specimen found. The species was first scientifically described in 1881 by zoologist Pierre Joseph van Beneden. Thirty years ago the population was close to 30,000 animals but the dramatic impacts of human activity and pollution, particularly gillnets used in fishing has caused a dramatic decline in numbers to around 7,000. 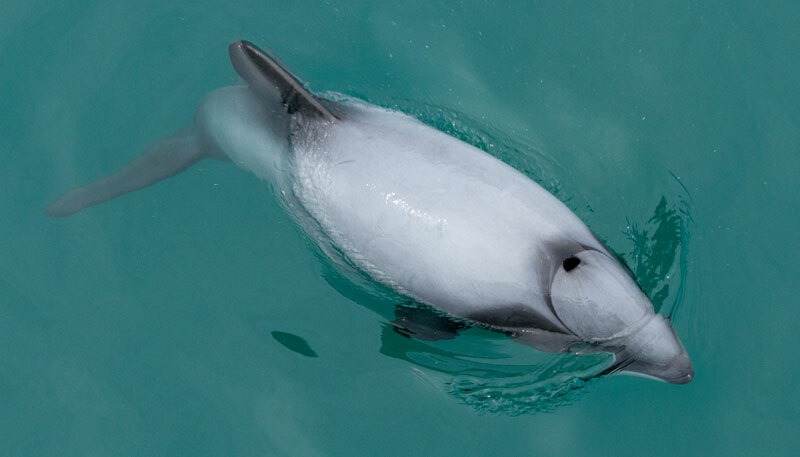 One of the best places to see Hector’s Dolphins is in Akaroa Harbour on the south island of New Zealand. 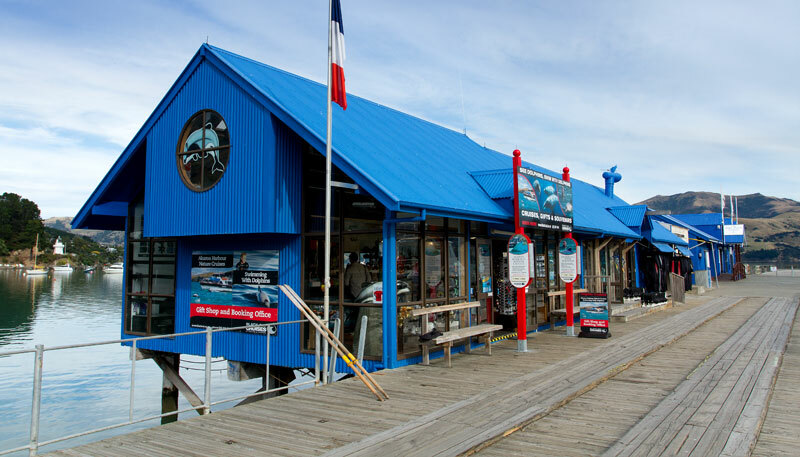 The beautiful town of Akaroa is about an hour and half’s drive south of Christchurch out on the Banks Peninsular. 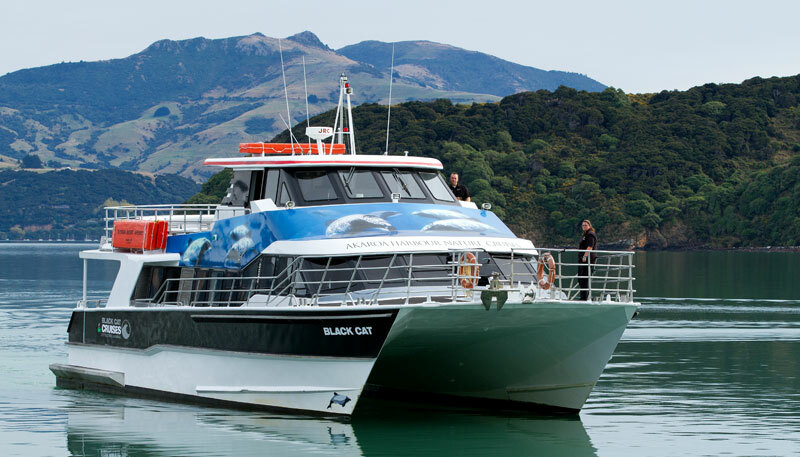 My great thanks to the wonderful crew of Black Cat Cruises for taking me out to see the Hectors and the beauty of Akaroa Harbour.